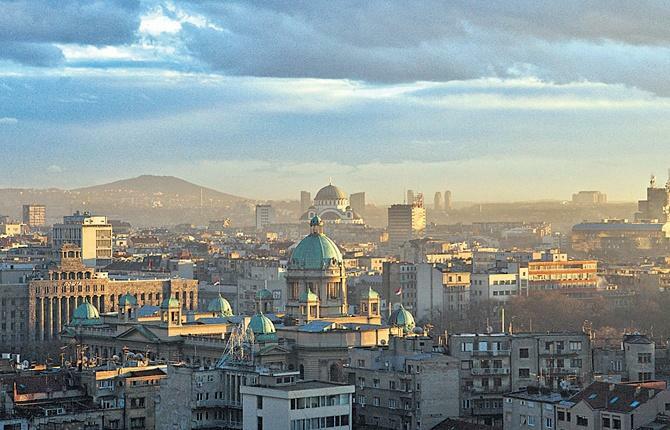 Belgrade’s average height above sea-level is 117 m, and the peaks of the Kosmaj (628 m) and Avala (511 m) mountains are in the surrounding area. 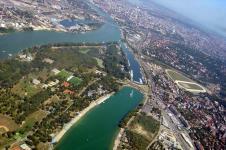 Belgrade’s rivers have a total of 200 km of riverbank and 16 river islands, of which Ada Ciganlija and Great War Island (Veliko Ratno Ostrvo) are the largest. 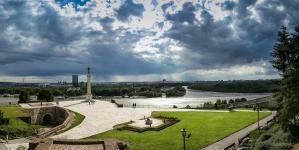 The inner, urban area of Belgrade covers an area of 36 km2 and the total territory of the city is around 322 km2. 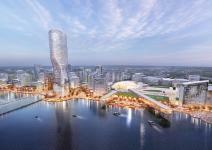 The wider city area is 419 km2. For administrative purposes, Belgrade is divided into 17 city municipalities, of which 10 are urban municipalities (Čukarica, Novi Beograd, Palilula, Rakovica, Savski Venac, Stari Grad, Voždovac, Vračar, Zemun and Zvezdara) and 7 are suburban (Barajevo, Grocka, Lazarevac, Obrenovac, Mladenovac, Sopot and Surčin). 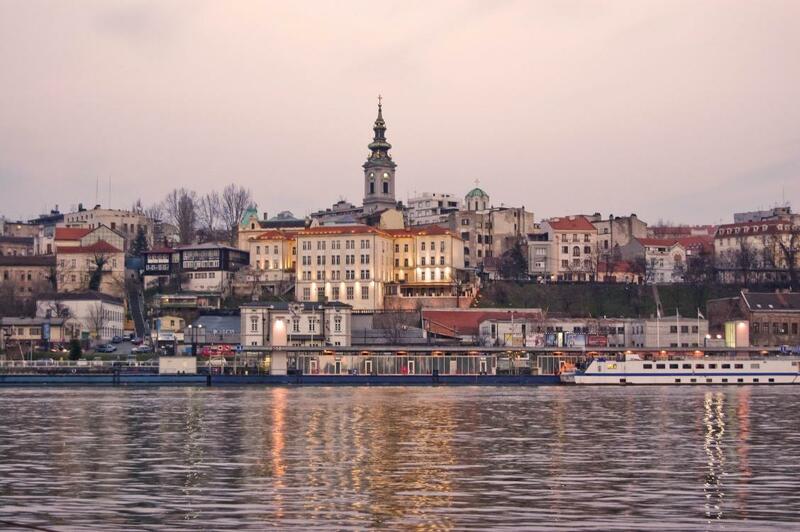 Geographically, Belgrade comprises three areas: the Old Town (Stari Grad) on the right bank of the Sava and Danube, New Belgrade (Novi Beograd) on the left bank of the Sava, and Zemun on the banks of the Danube beyond New Belgrade. 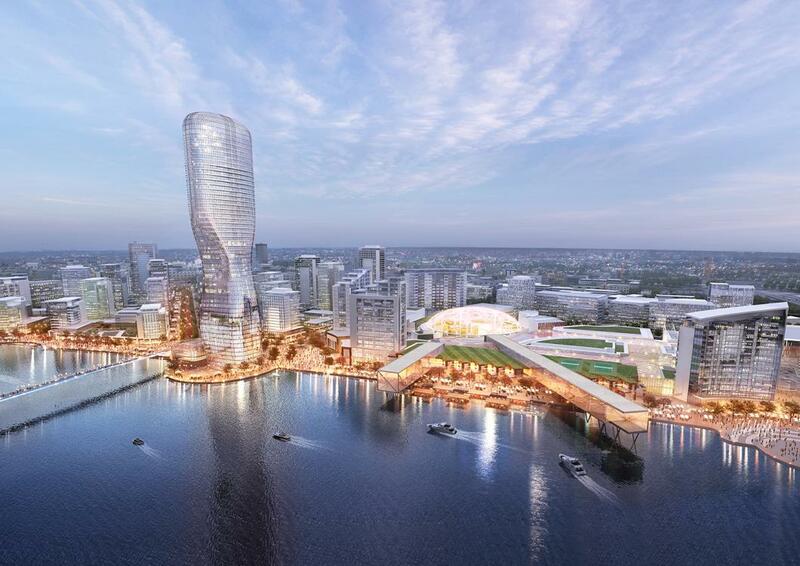 Plans are being laid for the land on the left bank of the Danube to become a ‘Third Belgrade’ during the 21st century. 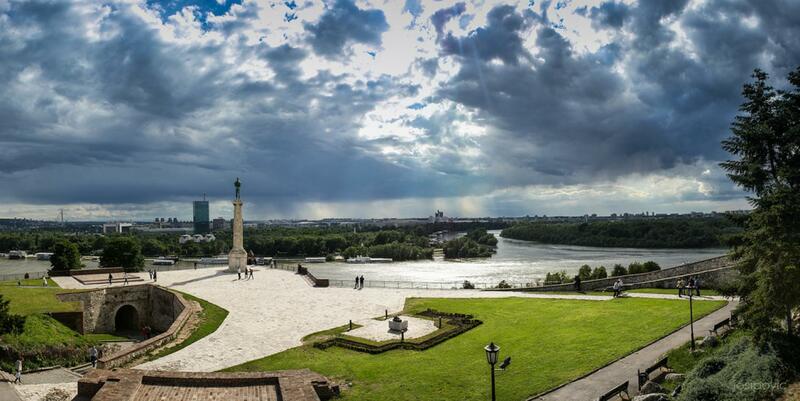 Belgrade has a moderate continental climate, with an average temperature of 11.7oC. 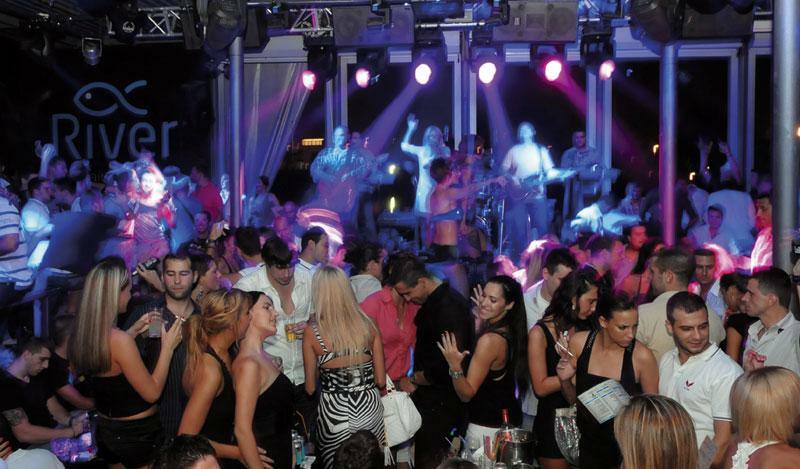 The Košava – a southeasterly and easterly wind which brings clear and dry weather in intervals of two to three days, mainly in autumn and winter – is characteristic to Belgrade. Belgrade is an important regional traffic hub: the crossroads of European routes E70 and E75 and the crossroads of Pan-European Corridors 7 and 10 are located here, the city is connected to key railway routes, is home to Nikola Tesla International Airport and two international waterways flow through it. 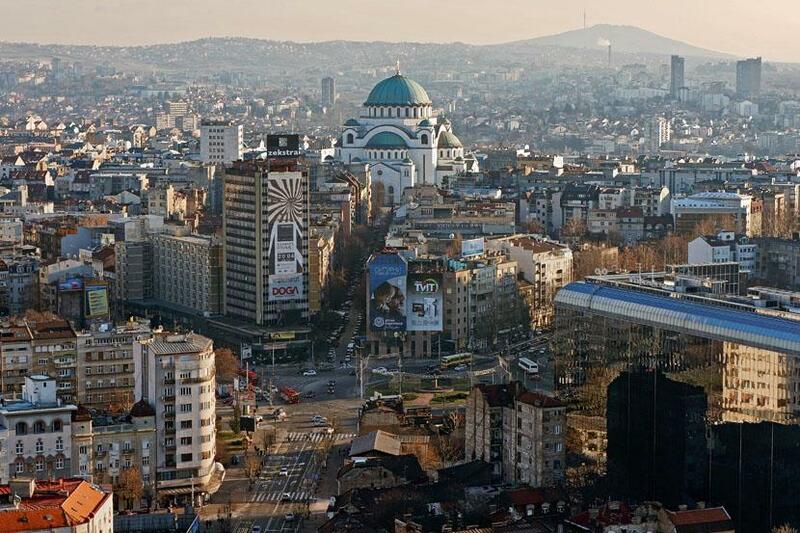 The city covers 3.6% of the territory of Serbia, 15.8% of the country’s population call it their home and 31.2% of the employed population work there. 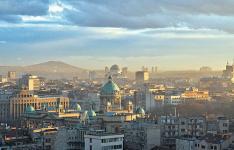 Belgrade is home to important trade, banking, agricultural and economic facilities, the most important being the metal, metal-processing and electronics industries, accounting for 30% of Serbia’s total gross domestic product (GDP). 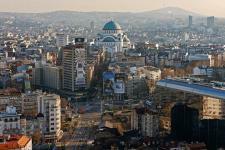 Belgrade is the capital of Serbian culture, education and science. It is home to the highest concentration of nationally important science and art institutions: the Serbian Academy of Science and Art, founded in 1886 as the Serbian Royal Academy; the National Library of Serbia, founded in 1832; the National Museum, founded in 1841 and the National Theatre, founded in 1869. 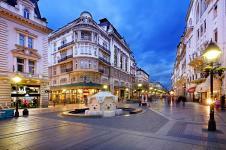 The city is also home to Belgrade University, founded in 1869 as the High School, as well as the Arts University. 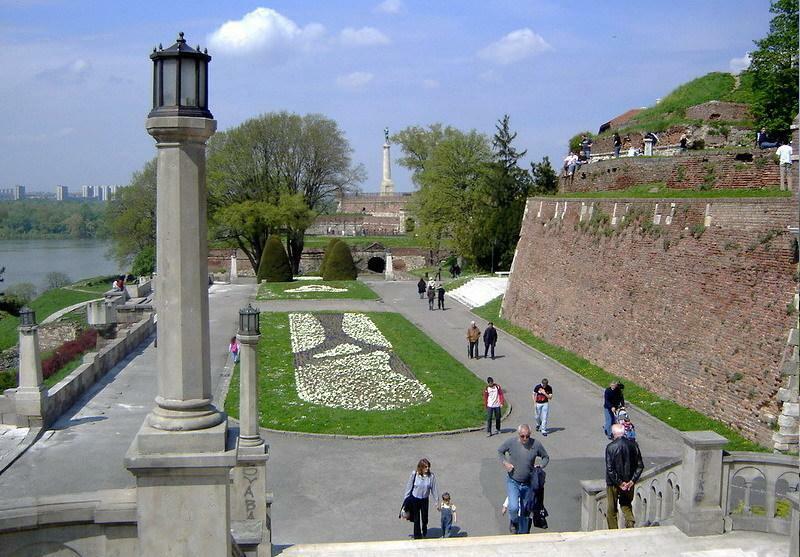 Belgrade Fortress (Beogradska Tvrđava) is the oldest cultural and historical landmark in Belgrade. 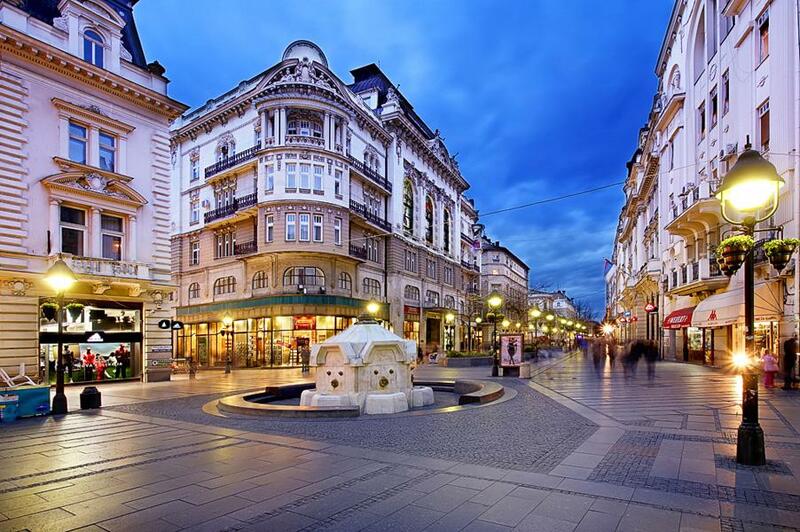 Also of interest to tourists are Skadarlija, the central bohemian quarter; the Residence of Princess Ljubica (Konak Kneginje Ljubice); Captain Miša’s Building (Kapetan Mišino Zdanje); the Old Palace and New Palace (Stari Dvor and Novi Dvor); the Serbian National Assembly building and the Cathedral of Saint Sava (Hram Svetog Save). 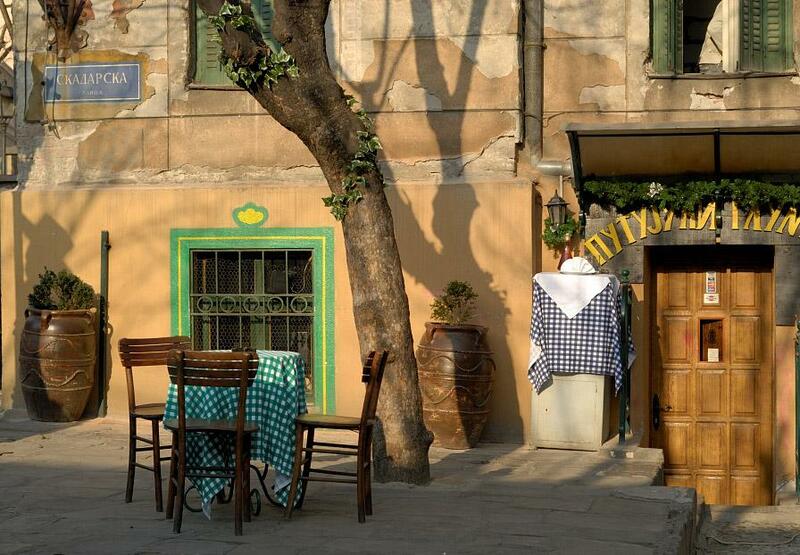 The formerly separate town of Zemun, which is today a municipality of the city of Belgrade, was settled in the 3rd century BC by a Celtic tribe known as the Scordisi who called it Taurunum. 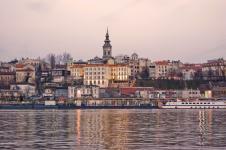 The highest point in Zemun is a hill known as Gardoš, from which a view extends over the whole of Zemun, the Danube and the centre of Belgrade. There is also the 36 m high Millennium Tower, otherwise known as the Tower of Sibinjanin Janko (Kula Sibinjanina Janka), built by the Hungarians in 1896. The area around Gardoš is distinctive, with its narrow cobbled streets and unusual architecture. 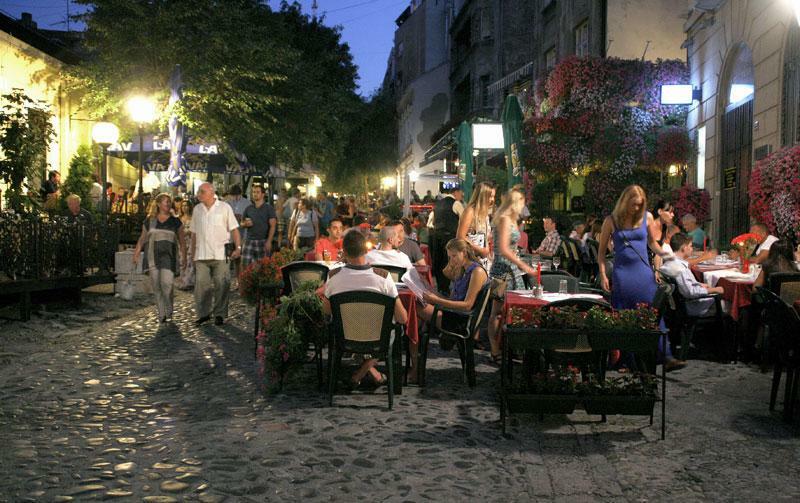 At the foot of the hill, on the Zemun Quay, on the banks of the Danube, there are numerous restaurants offering live music, as well as cafés and clubs. 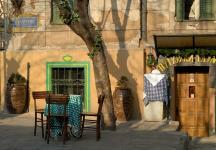 It is also a popular place to walk and meeting-place for fishermen and artists with its marinas and galleries. 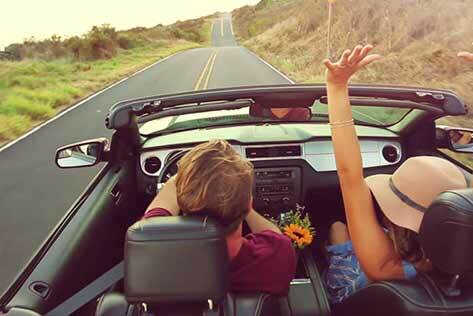 The oldest archaeological finds in this area date from the 5th millennium BC. 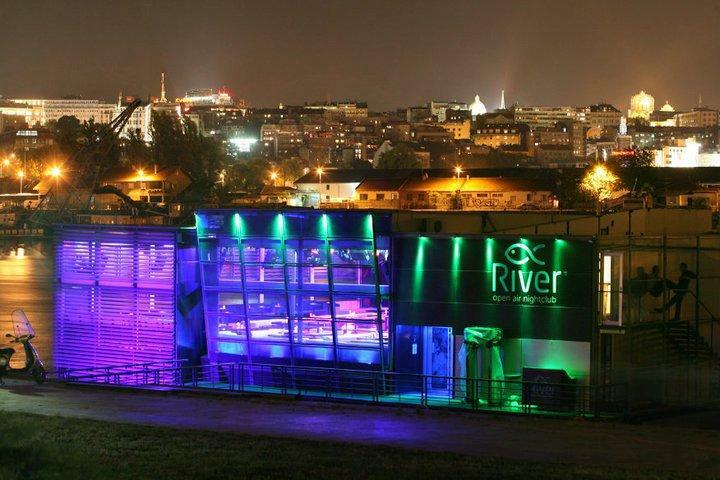 The prehistoric site of Vinča, which preserves traces of a prehistoric human material culture (Neolithic plastic art), is located on the banks of the Danube. Celtic tribesmen founded Singidunum in the 3rd century BC, and the town is also mentioned in classical sources. The territory was later conquered by the Romans and became part of the Byzantine Empire when the Roman Empire split in 395. The Slavs crossed the Danube in increasing numbers during the 6th century and permanently settled in this area, erecting their settlement – the White City (Beli Grad) – on a rocky outcrop rising above the mouth of the Sava. 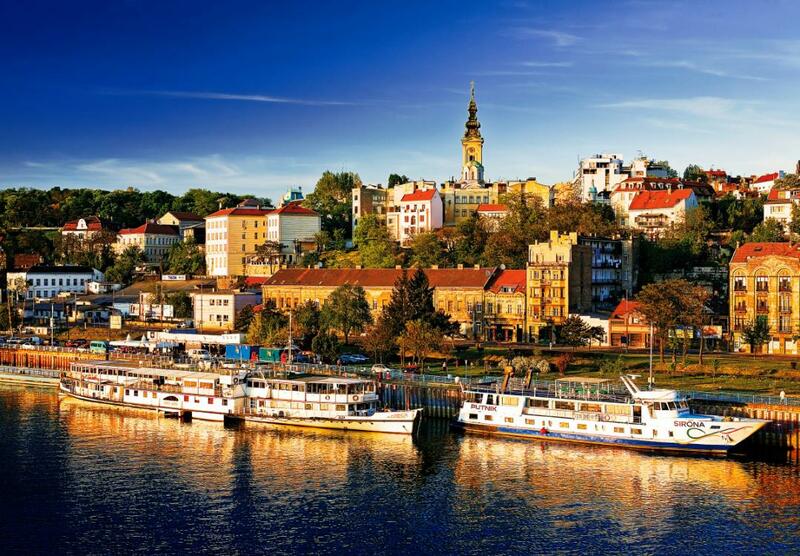 Between the 16th and the 19th centuries, Belgrade was called by many names in different languages: Alba Graeca, Alba Bulgarica, Bello grado, Nandor Alba, Griechisch Weissenburg and Castelbianco, all of which are translations of the Slavic word Beograd. 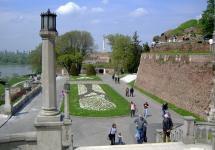 The name Belgrade was mentioned for the first time in 878, and during its long and turbulent history the city has been occupied by 40 different armies and rebuilt from its ashes 38 times. 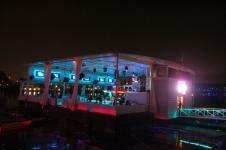 Numerous local and international theatre, film, music and other cultural events (FEST, BITEF, BEMUS, BELEF, October Salon and the Documentary and Short Film Festival) make Belgrade an important cultural centre. 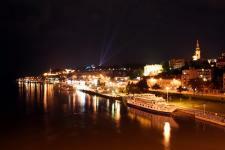 Belgrade is also host to numerous national and international conferences and fairs. 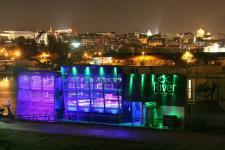 The multipurpose Sava Centre is one of the most attractive venues for conferences and cultural events in this part of Europe. Over 40 international fairs are held each year at the Belgrade Fair. 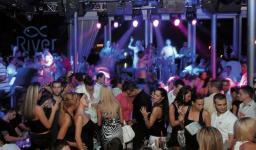 Numerous European and world sporting events have been held in Belgrade’s stadia and on its sports fields. Belgrade Arena is a multi-functional venue for all sporting, cultural and entertainment events and has a capacity of 20,000. 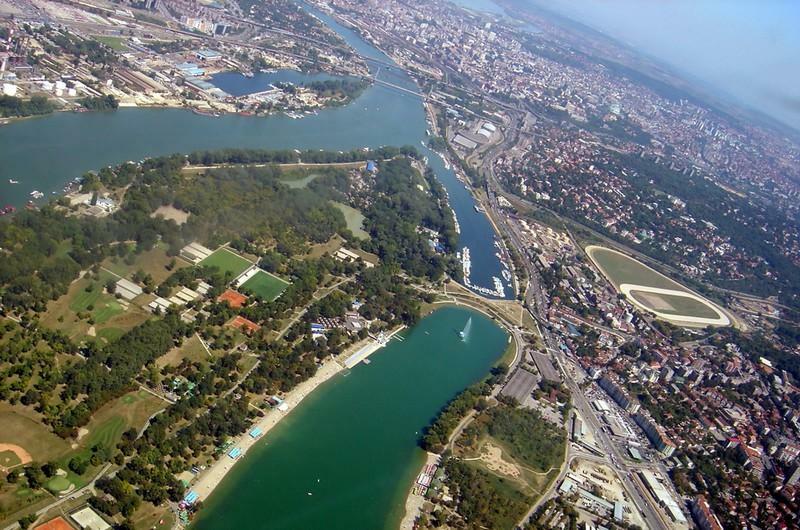 There are outdoor facilities for many sports, particularly water and extreme sports, on Ada Ciganlija and the Belgrade Marathon is held in the city every year.